Founded by Father Michael J. McGivney, curate at St. Mary’s parish in New Haven, Connecticut, the Knights of Columbus was chartered on March 29, 1882, in the State of Connecticut. As the priest explained to a small group of men at a meeting in the basement of St. Mary’s Church in October 1881, his purpose in calling them together was manifold: to help Catholic men remain steadfast in their faith through mutual encouragement, to promote closer ties of fraternity among them, and to set up an elementary system of insurance so that the widows and children of members in the group who might die would not find themselves in dire financial straits. The founder and first officers of the fledgling organization chose the name “Knights of Columbus” because they felt that, as a Catholic group, it should relate to Christopher Columbus, the Catholic discoverer of America. This would emphasize that it was a Catholic who discovered, explored, and colonized the North American continent. At the same time “Knights” would signify that the membership embodied knightly ideals of spirituality and service to Church, country and fellowman. Exemplification Ex*em`pli*fi*ca”tion, n. 1. The act of exemplifying; a showing or illustrating by example. Knights of Columbus are committed to the exemplification of charity, unity, fraternity, patriotism, and defense of the priesthood. The Knights of Columbus stresses that the Catholic gentlemen that make up the Knights of Columbus don’t just “talk the talk” – they must “walk the walk”. They must show by example. Charity: Since 1992, the Knights have donated in excess of $1.1 billion to numerous charitable causes and provided over half a billion hours of volunteer service. In 2003 alone, the Knights donated over $130 million and 61 million volunteer hours to charitable causes. Unity: The Order is consecrated to the Blessed Virgin Mary. The Order is unequivocal in its loyalty to the Pope, the Vicar of Christ on earth. It is firmly committed to the protection of human life, from conception to natural death, and to the preservation and defense of the family. The members serve the Church and are unified in following its teachings. Fraternity: Father McGivney’s dream over 122 years ago was for a fraternal order of brother Knights supporting brothers Knights in their temporal and spiritual needs and for giving aid to widows, orphans, the sick and the poor. Patriotism: Since February 22, 1900, Knights of Columbus who have advanced to the Fourth Degree have cultivated the spirit of patriotism by promoting responsible citizenship and a love of and loyalty to the Knights’ respective Countries. 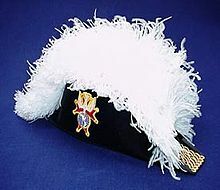 Certain members of the Fourth Degree serve as honor guards at civic and religious functions, thereby bringing worldwide, visible recognition to the Knights of Columbus. Knights of Columbus of today has 1.7 million members world wide. We are Catholic gentlemen committed to the exemplification of charity, unity, fraternity, patriotism, and defense of the priesthood. The Order is consecrated to the Blessed Virgin Mary. And is unequivocal in its loyalty to the Pope, the Vicar of Christ on earth. It is firmly committed to the protection of human life, from conception to natural death, and to the preservation and defense of the family. You will find brother Knights working to fulfill the central mission of the Order: striving in charitable works; serving the Church and unified in following its teachings; supporting brother Knights in their temporal and spiritual needs; acting for the good of their country; and giving aid to widows, orphans, the sick and the poor. Knights of Columbus also offers Life Insurance to members. Our council members have been involved in many activities which benefit the church and community. Thousands of hours, mostly fun hours, have been spent on such activities as charity breakfasts and bingo’s, non-public school marathons, Special Olympics, church festivals, parades, softball, bowling, and various family and youth activities. In fidelity to the vision of Father McGivney, may you continue to seek new ways of being a leaven of the Gospel in the world and a spiritual force for the renewal of the Church in holiness, unity and truth.